Mary Ann Gianelli, the wife of Arthur Gianelli, pleaded guilty on Wednesday in federal court, and in exchange, prosecutors dropped 141 money laundering counts. pleaded guilty to racketeering, money laundering, and other charges just before her trial was scheduled to start.Prosecutors say the 52-year-old woman helped her husband run an illegal gambling business after he was indicted on federal racketeering charges in 2005 by picking up shoeboxes full of cash in Boston's North End.Mary Ann Gianelli, 52, a nurse and mother of two, posted the family's sprawling Lynnfield home as collateral to get Arthur Gianelli released on bail. And when he was stuck at home under house arrest while awaiting trial, she admittedly drove to Boston's North End in her silver Mercedes to pick up a shoe box stuffed with his $10,000 a month cut from the gambling operation.Yesterday, the cost of Mary Ann Gianelli's devotion to her husband of 28 years was apparent, as she pleaded guilty to 19 counts of racketeering, money laundering, filing false tax returns, and illegally structuring cash transactions, just as she was about to stand trial alongside him.Prosecutors said they will recommend she serve 18 months in prison, and a defense lawyer said he will ask for a term of probation.US District Judge Nathaniel M. Gorton told Gianelli, a slender woman with shoulder-length blonde hair, that she will be allowed to remain in her $1 million home until she is sentenced June 5.Afterward, he said the Main Street property will be forfeited to the government because the court found Arthur Gianelli violated his bail conditions by continuing to run his gambling business while briefly free on bail in 2005. His bail was revoked, and he is currently jailed pending the outcome of the case. "Mary Ann Gianelli played a minuscule role in the grand scheme of this case," said her lawyer, E. Peter Parker of Boston. "Her crimes consist solely of handling money in the wrong way. Her criminal conduct is out of character with the way she has lived her life." Gianelli's plea came as jury selection was underway in federal court in the case against her and four others. 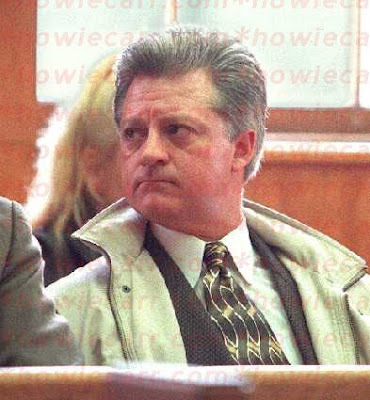 Opening statements are slated to begin this morning as the case moves forward against Arthur Gianelli, 51; Dennis Albertelli, 56, and his wife, Gisele, 54, of Stow; and Frank Iacoboni, 65, of Leominster. A dozen other codefendants previously pleaded guilty.Gianelli is accused of running a bookmaking operation and illegal video poker machine business that allegedly paid $2,000 a week to reputed Mafia underboss Carmen "The Cheeseman" DiNunzio. 0 Response to "Mary Ann Gianelli pleaded guilty on Wednesday in federal court, and in exchange, prosecutors dropped 141 money laundering counts"